What are the qualities and assets of public spaces? How do we make them safer? And what are the tools to involve the public and create ownership? These and more quations were being addressed during the Inventory and Assessment of public spaces workshop hosted by the UN-Habitat at the UN Complex in Nairobi on Thursday, March 5 2015. This workshop that was mainly meant for capacity building of the Sub-county administrators of the Nairobi city county – ‘to devolve expertise to the grassroots’. In addition, it was an effort to break silos among the different departments of the Nairobi city county government, create awareness on the need and value of public spaces, and emphasise the central role of quality public spaces in urban development. Stressing that cities are not only about blocks and concrete but also life, Placemakers shared their experience from the Netherlands on how to create great people-places. It was quite evident that turning a place around is not necessarily expensive. A keynote address by UN-Habitat’s Urban Planning and Design branch leader, Laura Petrella underscored the strategic position of public spaces in urban development. Stating that public spaces are an asset for the city, she explains that public spaces provide the space for the provision of public services. Streets need to be considered as public spaces and not just communication channels. “By the nature of their name, they are public spaces.” Calling upon the city authorities to view streets as potential places for social interactions and civic enjoyment, Laura observes that streets are the only spaces in the city where the city authorities can intervene without interference from other interest groups. According to UN-Habitat, public spaces say a lot about the capacity of public authorities to manage the city. Nonetheless, all is not lost as a movement to reclaim public spaces is afoot to redefine the place of public spaces in Nairobi. Millennials and radical environmentalists are aggressively taking back public spaces in Nairobi, the latest example being the recent occupy playground movement at Langata road primary school. Juma advises that it is important to think about the place of public spaces in the Nairobi of tomorrow today. He recommends viewing the city through the lens of street musicians, street children and hawkers, to understand their day-to-day battles in public space. He suggests that public spaces can offer the lenses to understand conflicts in a neighbourhood, including intergenerational and economic conflicts. Coming out quite strongly were the calls to preserve the use of the sunken car park as a skating rink on Sundays. Explaining the gains, Patrick Analo from the Nairobi City County mentions that the intermittent public space brings people from various socio-economic classes together to interact as civic equals. “Children walk as far as from Korogocho to come for skating” He adds. 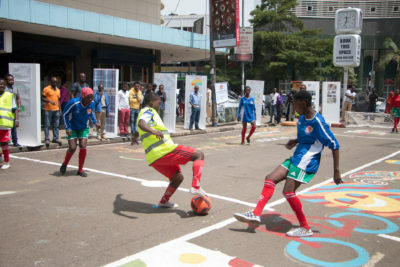 Rose Muema, the Director of City planning at the Nairobi City County observes that public space is an area where the county can interact with the community. Expressing her disappointment, she says, “our CBD is dying because it is not utilized well, can’t we make it a walking district?” She goes ahead to reaffirm the commitment of the Nairobi City County government to the improvement of public spaces. With regard to the implementation of the Masterplan, she mentions that public spaces will be at the centre of the reconfiguration of the city. 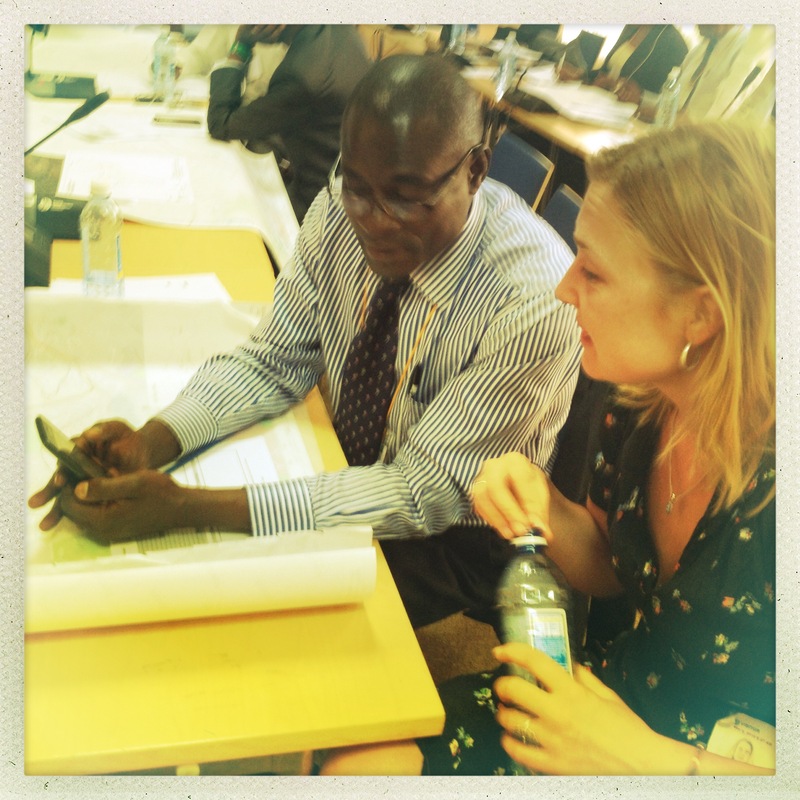 Before the assessment Placemakers had the chance to share their knowledge and some best practices. 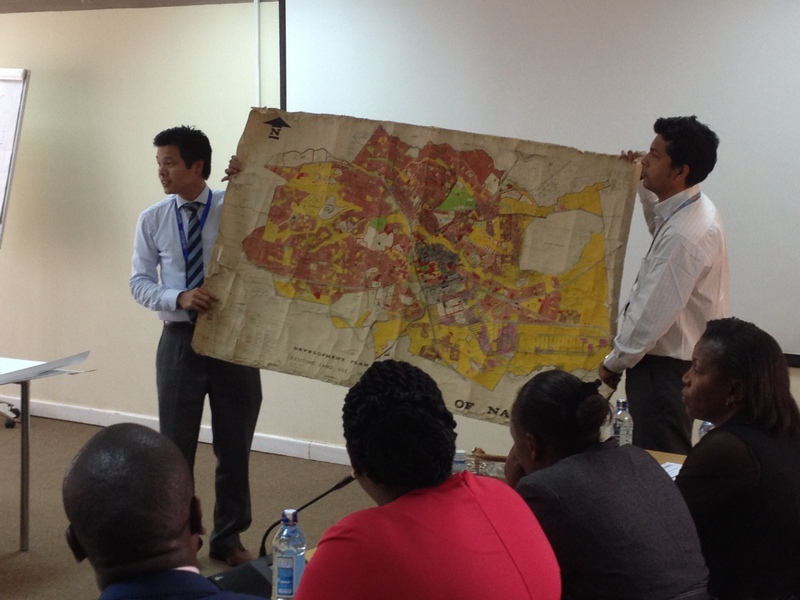 In Nairobi, Placemakers in partnership with International New Town Institute (INTI) and International Federation of Housing and Planning (IFHP) is running a knowledge exchange program – ‘Making Cities Together’. 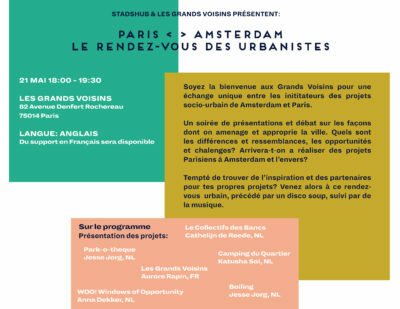 This project is primarily about sharing knowledge, ideas, experiences and best practices between the global north and south on how to make successful public spaces. While sharing the findings of the inventory on placemaking initiatives, Placemakers observed that there is a lot of placemaking activities going on across the city. However, it also noted that to achieve more impact, there is need to mobilise the communities. The second part of the workshop was dedicated to a mapping assignment in which the wards had to start making a roadmap to conduct a city wide inventory of the use of public space. This public spaces exercise is geared towards identifying strategic public spaces where acupuncture interventions can be carried to upgrade the city.